Despite the casualty figures - dead, wounded, captured, missing - for engagement after engagement after engagement, a bloodless book. In five sections, Ford covers the four campaigns by and against Turkey. In five sections, Ford covers the fronts on which Turkey fought. In Mesopotamia, the Eden of the title, present day Iraq, The British, with many??? Indian troops battled, with some setbacks, from Basra??? on the coast north along the Euphrates. In the Caucusus, Turkey's eastern front and border with Russia, where Russian was largely victorious and controlled large parts of eastern Turkey until the 1917 revolutions. 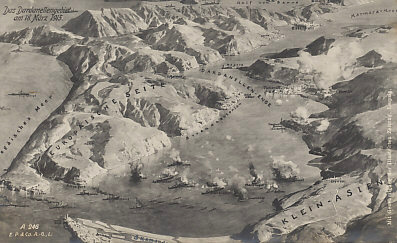 The Dardanelles and Gallipoli, the failed 1915 Allied campaign to defeat Turkey in one blow, or in one slog. The campaign in Palestine and Syria, including Megiddo?? ?, site of Armageddon, from the Suez Canal in Egypt through the lands that now include Saudi Arabia, Israel, Jordan, the occupied West Bank, Lebanon, and Syria.